Why is He Even Here? Needless to say he didn’t get the job. Nor did I. I’ve been not getting jobs for years. In that same conversation Spencer mentioned joining the Army. I utilized my usual tactic, which was not engaging in a conversation about it. At some point, it actually became a conversation, and next thing I know, the guy has an appointment at the MEPS office! That’s where people initiate their military engagement. Spencer had always wanted to be in the military. His dad was in the Air Force for a couple years, and both his grandfathers served. Also, if you know Spencer, you can imagine that the military is where he’s supposed to be. He was one signature away from joining out of high school, but his parents told him they would pay for his college. Then he was still interested out of college, but was offered a PRN position at the gym at which I met him. Since only like 5 other graduates in America got jobs, and he liked the gym, he decided to take the position. When he finally joined, he was kind of at an impasse. There aren’t many full-time positions in the field of Health Promotion, which is the degree both of us have. (A person can find themselves working over 40 hours a week with not a single vacation day to their name). Since you can only be on your mom’s health insurance for so long, he was really interested in earning benefits. When no doors opened, Spencer felt it was a good time to pursue his dream of military service. He joined because he didn’t want to be 40 and wish he had given it a shot. Basically, he is pursuing his dream. That’s the beauty of failing, sometimes that other idea becomes your only option and it can lead to good things. Despite having a Bachelor’s Degree, Spencer went in Enlisted instead of as an Officer. He did this because he wanted to try for Special Forces, he wanted to earn street cred for having started from da bottom, and his interest was not paperwork and responsibility, but rather being the agent of defense. When I first got here and realized Officers make enough money that their wives don’t usually work, I would have fleeting annoyance toward Spencer for not choosing that, but that was just me being greedy. They make more money, but they also make it home late all the time, and are responsible for other people’s mess. If you know Spencer, you know he has not interest in being bothered with other people’s business. 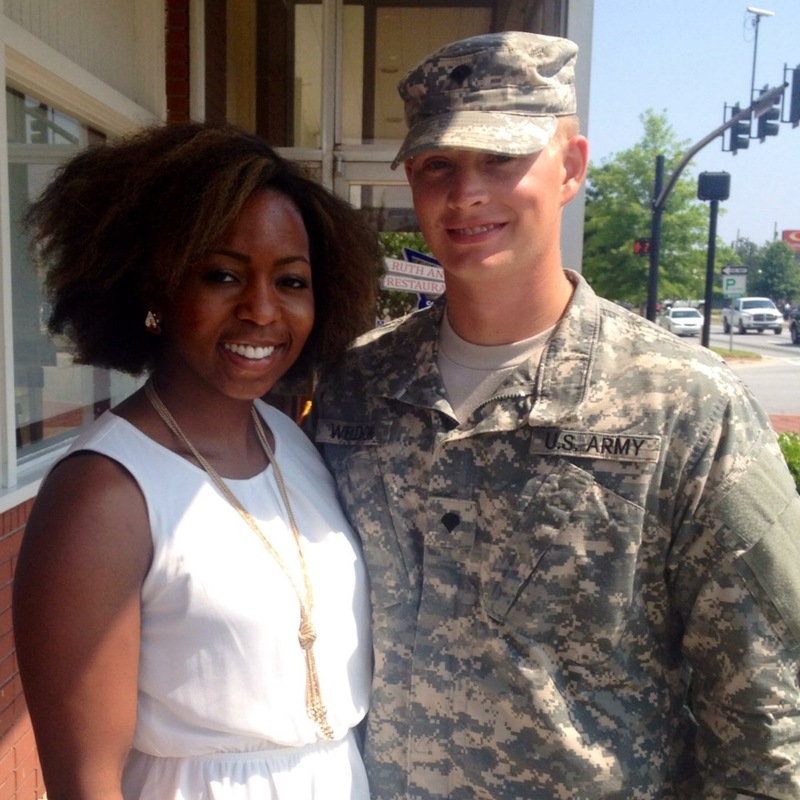 Being enlisted was the best choice for Spencer and for us as newlyweds. He began the debacle, I mean–process at the beginning of November 2013. Spencer’s excitement to embark on the rest of his life was palpable, much to my dismay. After some tumult with his medical testing and my hysterics, he left for Basic Training in Georgia on April 7, 2014. Despite the disappointments of this experience, Spencer is happy with his choice. The Army definitely has it’s ups and downs, which keep him from exploding with joy, but I can’t imagine him anywhere else. I am glad he followed his dream. Even though I knew this is where he belonged, it was hard for me to imagine myself here with him, but that’s a post for another day. I believe Officers can do Special Forces as well. But either side of the military spectrum is admirable 🙂 My husband was enlisted for 6 years (went in right after high school graduation and was actually in boot camp when 9/11 occurred), got out after serving his time and moved back to our hometown to finish his bachelor’s degree (we met during this time). He decided to go back in as an Officer. 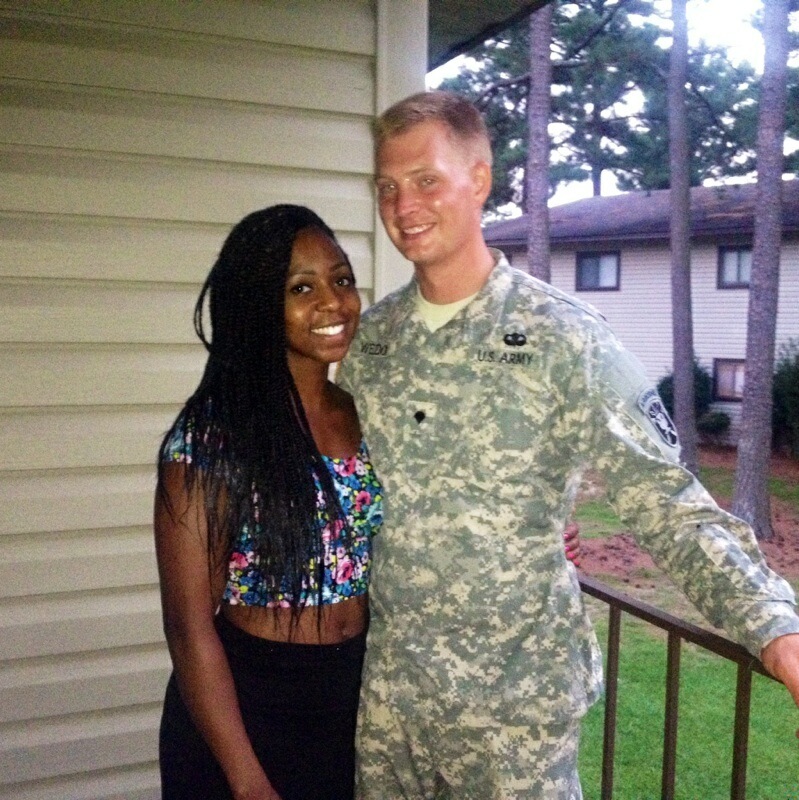 I never thought I’d be a military wife, lol. It’s interesting to hear how other people make the decision to join- thanks for sharing! How is your experience as an Officer’s wife?? Pretty good! We’ve been stationed at Fort Bliss in El Paso, TX for over 3 years, so we are definitely ready to PCS in early March! My husband’s unit isn’t great as far as FRG stuff. We don’t have children yet though and a lot of military stuff is family/children focused. I’ve heard a few comments made about being an officer’s wife when other women find out, but I don’t let it bother me. Being educated & having my own career has always been a priority to me (although I left my full-time job last month as we have been dealing with infertility for a couple of years and we’re moving forward with IVF out of state), so I definitely would never let his status label or define me! ?